The old architectural adage that sometimes “Less is more,” can also apply to archives in the right circumstances. In this case, less, or more precisely, shorter, restrictions on records means more documents are accessible, and that is the case with the Princeton University trustees and administrative records. 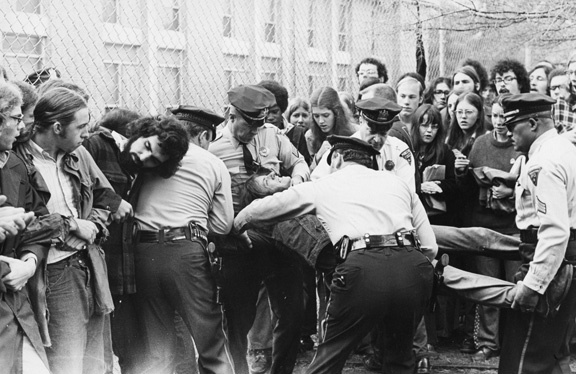 After closely scrutinizing our current policies and practices, President Christopher L. Eisgruber decided recently to reduce the standard administrative restriction from the present 40 years down to 30 years. This means that most university records created in 1988 and earlier, including minutes of the meetings of the Board of Trustees, are now open for research. A small subset of records with longer restriction periods, particularly student academic files, faculty personnel files, and other materials related to specific student or employee performance will continue to be protected for the lifetime of the individuals. These materials from the presidency of William G. Bowen, which were restricted under the old policy, are now open to researchers. One benefit of this change is that now the records of the presidency of William G. Bowen are open, allowing researchers to study the range of issues from his administration: the creation of the college system, both the physical and intellectual campus expansions, and dealing with the challenges of the 1970s and 1980s relating to the national economy and broader political questions that were often voiced on campus such as divestment in South Africa. Mudd Library is open from 9:00AM-4:45PM Monday-Friday during the academic year. For more information about conducting research in our reading rooms, please see our previous blog post. This post is part of a series on education and war related to our current exhibition, “Learning to Fight, Fighting to Learn: Education in Times of War,” on display through June 2018. Please stop by to learn more. Lawrence Rauch *49, a mathematics graduate student and a research assistant in physics, concentrated on radio telemetry while at Princeton. He lived in the Graduate College near John Tukey, Rauch’s mentor during this time. Richard Feynman also lived nearby. 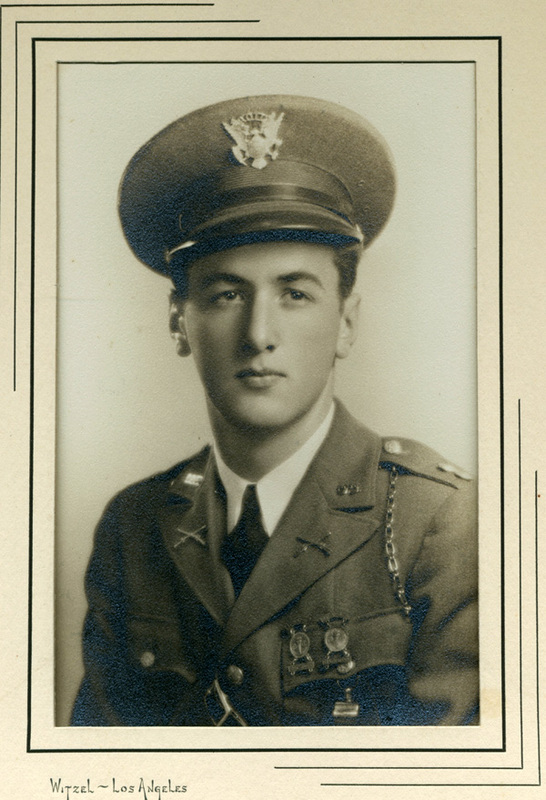 Rauch was passionate about his studies, but World War II affected his academic experience. He won the John S. Knight Journalism Fellowship in 1942, but due to his involvement in war research had to turn it down. Throughout the war, Rauch worked on defense related projects–which had the added benefit of keeping him out of the draft. He was chosen among five other members of the University to attend the first series of post-war nuclear testing being conducted in the Pacific Ocean by the Joint Army and Navy Task Force at Bikini Atoll in the Marshall Islands in 1946. Lawrence Rausch *49’s ROTC portrait. Lawrence Rausch Papers (AC393), Box 2, Folder 10. James A. Baker III ’52, the distinguished public servant and five-time presidential campaign manager who served as the 61st U.S. Secretary of State, will open his papers that are held at the Seeley G. Mudd Manuscript Library at Princeton University on January 1, 2018. 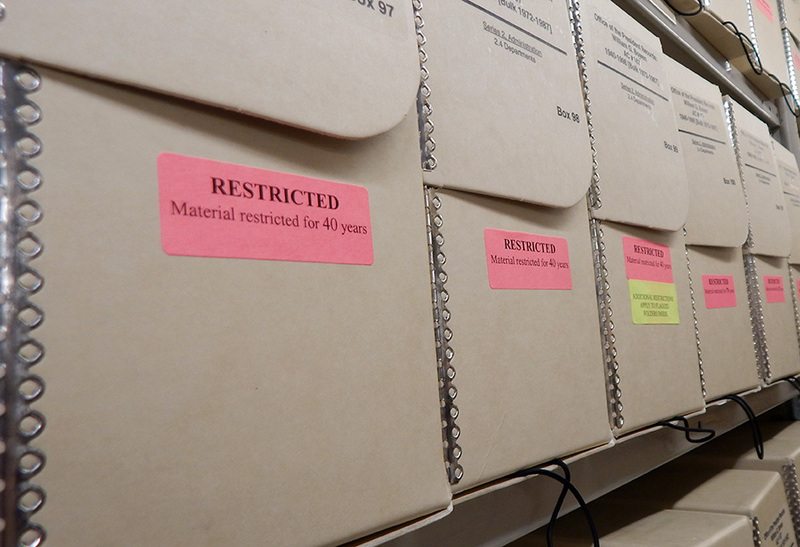 Donated in 2002, originally the papers were to remain closed during Baker’s lifetime or until his 100th birthday. Soon researchers will be able to examine his work in senior government positions under Presidents Ronald Reagan and George H. W. Bush, as well as his role in five consecutive presidential campaigns from 1976 to 1992 for Presidents Gerald Ford, Reagan, and Bush. This post was written by Phoebe Nobles, the archivist who processed the Granville Austin Papers. We are pleased to announce the addition of the Granville Austin Papers (MC287) to the Public Policy Papers at Mudd Manuscript Library. Austin (1927-2014) was an independent scholar and political historian who wrote two of the seminal works on the constitution of India, and garnered esteem enough in the Republic of India to receive its fourth-highest civilian honor, the Padma Shri Award, in 2011. How did Vermonter Granville Austin, known as “Red” to his friends and colleagues, come to be read so widely by students of Indian political history and to be cited in decisions of the Indian Supreme Court? His life’s work did not fit neatly the mold of the academic historian. With a degree from Dartmouth College in 1950, he began his career as a photographer and journalist for a local Vermont-New Hampshire newspaper. He joined the U.S. Information Service as a photographer in Vietnam in the mid-1950s, and later as political analyst and press attaché at the U.S. Embassy in Beirut, Lebanon. 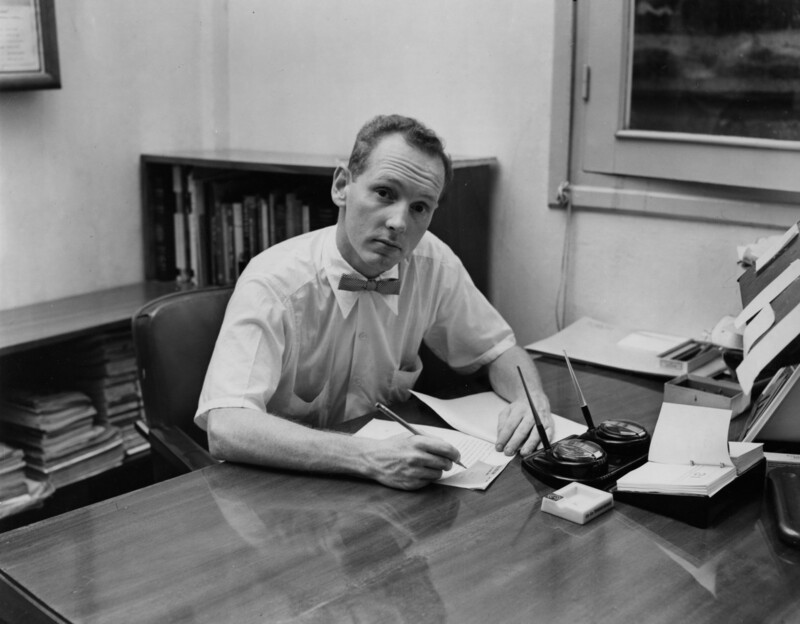 Austin left Beirut to study at Oxford, and his graduate thesis would become his first book, The Indian Constitution: Cornerstone of a Nation, published in 1966. 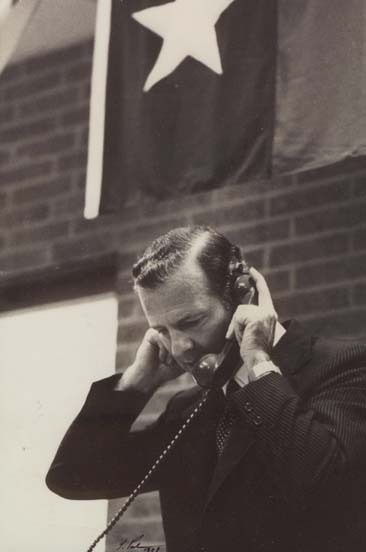 Granville Austin at the U.S. Information Agency office, Saigon, 1960s. Granville Austin Papers (MC287), Box 12. The film Loving, based on the Loving v. Virginia case, is now in expanded release in U.S. theaters. When Mildred and Richard Loving were married in June 1958, twenty-four states still had anti-miscegenation laws. For this reason, Mildred, a black woman who was also of Rappahannock and Cherokee Indian descent, and Richard, a white man, were married in Washington, D.C. instead of their native Virginia, where both of their families had resided for generations. After they married, the Lovings settled in Central Point, Virginia. They were unaware that they would soon find themselves involved in one of the most significant legal battles of the civil rights movement. On July 11, 1958, after receiving an anonymous tip, local authorities issued warrants charging the Lovings with attempting to evade Virginia’s ban on interracial marriages. The Lovings were indicted by a grand jury in Caroline County, Virginia and pled guilty in January 1959. They were convicted under Section 20-58 of the Virginia Code, which made it illegal for interracial couples to marry out of state with the intention of returning, and sentenced under Section 20-59, which declared interracial marriage a felony offense and punishable by between one to five years in prison. 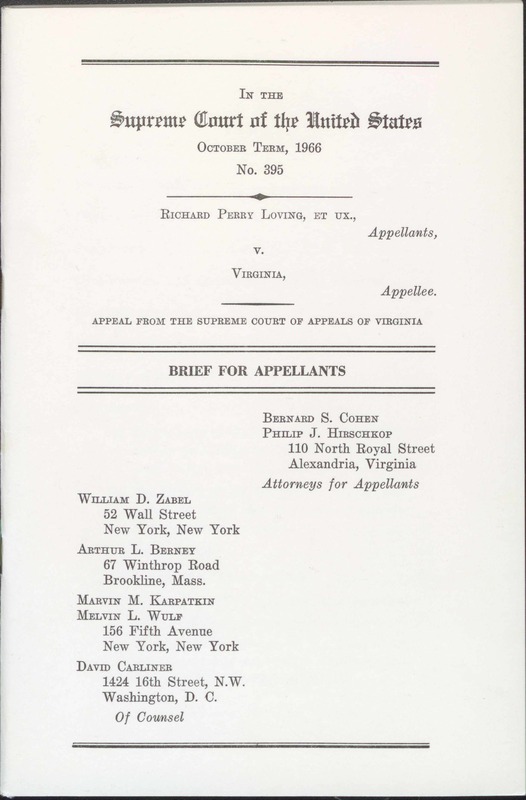 Initially, both Mildred and Richard were sentenced to one year in prison, but the sentences were suspended on the condition that they leave Virginia and not return together for twenty-five years. 1) Compile information on the contributions of students of color to this campus and beyond. 2) Organize the Mudd Manuscript Library resources related to students of color and the Third World Center/Carl A. Fields Center. 3) Collect information from alumni to create a permanent Students of Color at Princeton archive. Thus, the purpose of Briana’s visit—which I attended as did my colleague, Lynn Durgin—was to affirm the truth behind the Collective’s observation, brainstorm about different ways for the Archives to do better, and allow Briana a chance to comb through the sparse records we do have pertaining to the history of Latinx students at Princeton. 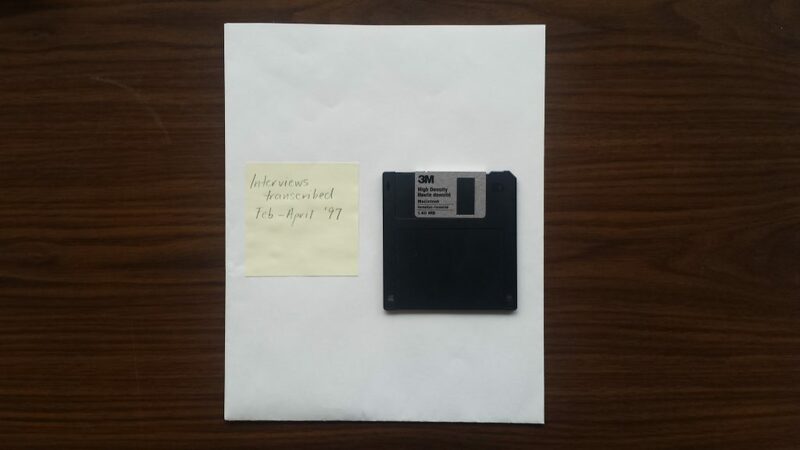 In the course of her perusing the Historical Subject Files, Briana stumbled upon something that few current undergraduate students have ever seen before: a 3.5’’ floppy disk. 3.5-inch floppy disk found by Briana Christophers ’17 in AC109, Historical Subject Files. In the opening scenes of the 1944 MGM motion picture Meet Me in St. Louis, Lon Smith receives his Princeton University Catalogue in the mail (view the clip here). Lon, the eldest child of the Smith family, has been accepted to Princeton in the fall, and his going away party is the excuse to invite John Truett, “The Boy Next Door” to the Smith house. Lon’s sister, Esther (played by Judy Garland), has a crush on the new next door neighbor, and she believes Lon’s party will be the perfect excuse to meet him. 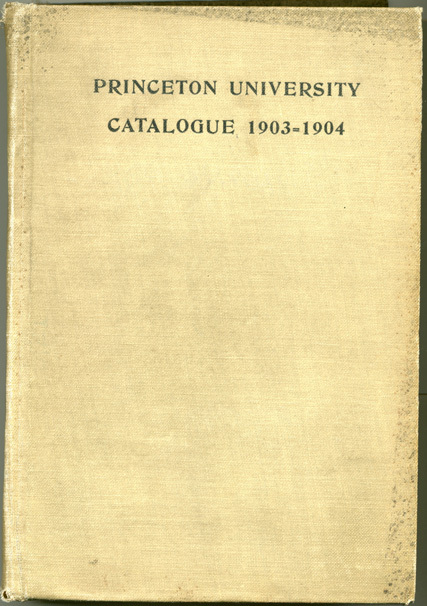 The University Archives receives numerous requests for information about the Catalogue of Princeton University: 1903-1904. The Catalogue for the academic year of 1903-1904 (the edition fictional incoming freshman Lon Smith received) was fairly lengthy with 407 pages of Princeton facts and figures. The volume is 8 inches x 5 ¾ inches. 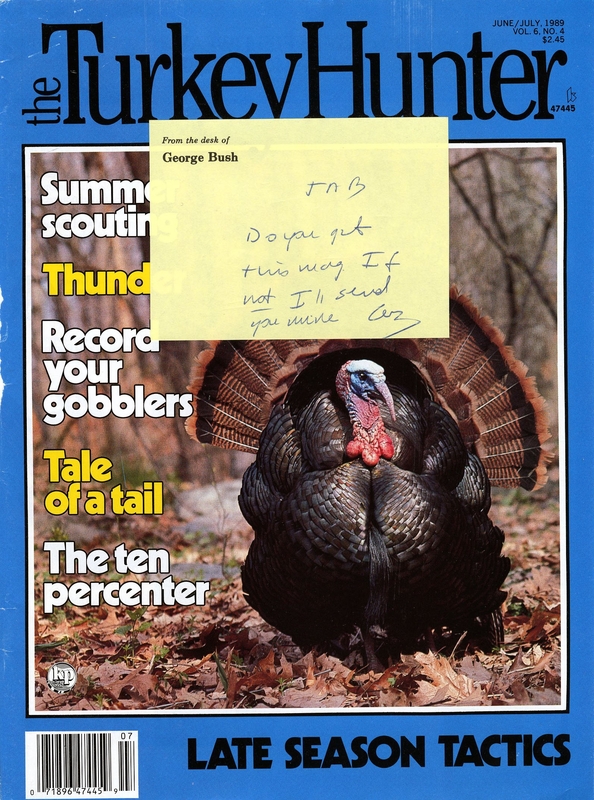 The cover is tan with black lettering. 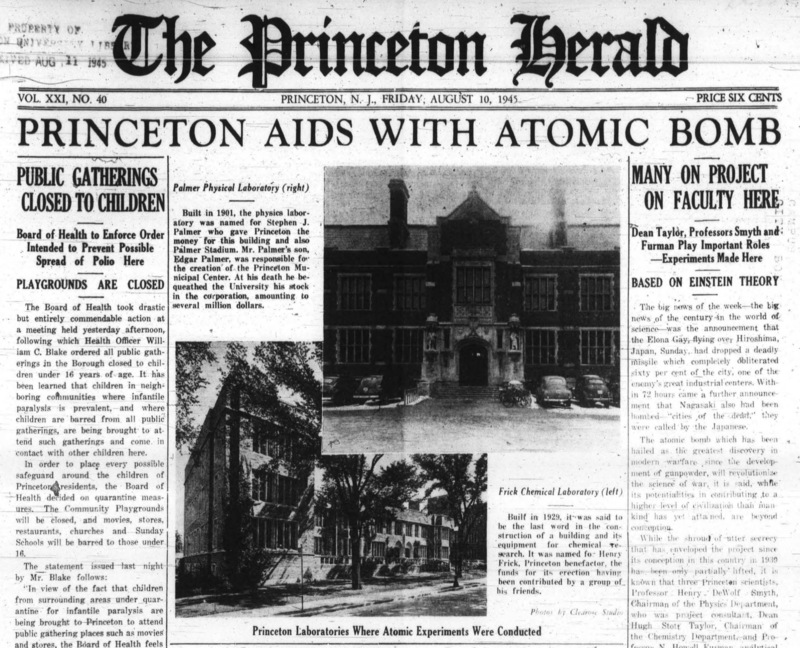 The Catalogue was given to every student and intended to provide basic information about Princeton University. Early Catalogues contained the following: names of the Board of Trustees, a list of the Faculty, a list of students (by class year), information about admission, courses of instruction, examinations, expenses, and commencement exercises. Over the years more detailed information was included, such as a history of the University, a map of the campus, an academic calendar, and library hours. As Princeton grew from a college to a university, it provided new services to its students, faculty, and staff. The Catalogue is a valuable resource that helps to document this growth. This post was originally written by Nancy M. Shader in 2003 for the FAQ section on our old website. It has been revised and expanded by Madeline Lea ’16 as part of the launch of our new website.